Attendees: Sunshine Cowgill, Nara Clark, Doris Kim, Paige Wright, Helen Sipsas, Erica Stewart, Jessica Napier, Sande R, Heather Palandoken, Altee Vigil, and Jocelyn Leonard. Meeting called to order at 8:42 a.m. Minutes from the last meeting were approved with a possible addendum regarding matching funds for the Digital Media Lab. Sunshine has sent an e-mail to Mr. Crabb for clarification on the amount needed. Financial Report: March 12 will be the Applebee’s fundraiser breakfast. T-shirt sales were about $900. Great Lakes Scrip totals were not in. We went over the financials. Altee is going to e-mail the checking account balance to Sunshine. Sunshine suggested that at each meeting we see the statements of the checking and savings accounts, so that we know how to vote for projects. She also requested a profit and loss statements, so that we can see the year as a whole also. There was some discussion about the request the school librarian has made for money to buy shelf markers for the school library. There were people in favor of the request and those who were unsure. We will come back to this issue. Regarding Battle of the Books purchases for the classrooms: Jessica got estimates and took a vote. The vote was in favor of buying the books in paperback, and reinforcing them with tape. A bookplate will also be put into each book showing that is belongs to the Booster’s. Principal’s Report: It will be a short week, with Veteran’s Day and the Teacher work day next week. Then, parent conferences and minimum days the following week, with Thanksgiving break the last week of November. Mr. Block reminded us about the request for money for the online AR tests. Our part would be about $800 per year after the initial year. A grant has been written to help defray the costs for the first year. At this point, we went back to the request from the Librarian, and realized that we could not honor her request at this time, without being more sure of our budget, in light of the AR test costs. Doris moved not to honor the request, Jessica seconded it. We hope to be able to give her the money she has requested at a later date. Committee Reports: GL Scipt: $795.27 made to date. Each family will be getting an envelope and a script order forms. You can also keep your gift cards, and just re-load them with more money. Check with Paige if you are interested in doing this. There will be a table at the Chili Cookoff for GL Script and E-script. There will also be another order run in December of January to buy Teach T-shirts or sweatshirts. New Business: The mascots for the Battle of the Books battle were damaged by mice. Jessica has offered to donate several Beanie Babies to use as the mascots. Book Fair: Help is still needed to take shifts during the fair. The Variety Show is in need of a Director. It is February 24. Altee has offered to do this is there are no other takers, but she would need help. She cannot do it alone, as she will busy with her Treasurer duties at that time. Anyone interested in helping, please contact Sunshine or Altee. We discussed other ideas for fundraisers. The consensus is that we would like to keep sales to a minimum, and perhaps have the kids do some work to raise money for their school/trips. The school directory will be out soon. The Dinner/Auction discussion will be put on hold as Beth and Cindy were not able to make the meeting. Meeting adjourned at 10:05 a.m.
Visit our book fair in the library all this week from 12:00 - 4:00. We'll be open late on Wednesday, until 6:00. This is a great opportunity to get some holiday shopping done, with affordable reading and gift options for kids. And a share of the profits go to our school! This is also a nice opportunity to purchase gifts from your teacher's wish list for your child's class. Stop on in and see what our Book Fair has to offer! Check out SchoolFamily.com, an online resource where parents can get expert insight, info and resources to help their children succeed in school. Sandy Stannard and her Cal Poly Architecture students are working on the next phase of our outdoor classroom, and would like to invite teachers and garden volunteers to come to a brainstorming session this Wednesday, October 27 at noon in room 11 (the science room). Please feel free to come and share your ideas and suggestions for this amazing project! Our Lunch in the Library program, started last year, gives students are the opportunity to spend lunchtime in the library, reading, researching, and playing games. The days LIL will be open will be set based on volunteer availability. The time is during lunch: 12:00 – 1:00pm. LIL would appreciate parent volunteers to spend time either coordinating art and/or craft activities or simply supervising reading, homework and computer games in the library. Please contact Nancy Biggs if you would like to volunteer for this popular program, either weekly or on a one-time basis: nancy.biggs1@gmail.com. Our kids are busy reading up for the year-end epic Battle of the Books! Competition is stiff for the Battle titles at our school and public libraries. We'd like to supply each classroom a copy of each of the Battle Books for this year, and we're hoping our families can help. Please review the Battle of the Books lists. If you have copies of any of these books that you no longer need in your home library, please drop them off at the office. 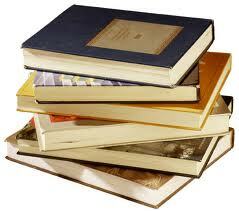 Donated books will be added to classroom libraries. (Please don't feel you need to buy copies to donate - contributions to the Booster Club go do this fund. This request is just in case you already have copies that you have read and no longer need.) There are additional challenge books that are not currently in our budget, but would love to have. These books are included in the BOB competition and our Teach students in particular seem to like the extra challenge. Attendees: Heather Palandoken, Taffy Gonzalez, Altovese Vigil, Riana Baxter, Doris Kim, Dan Block, Nara Clark, Sunshine Cowgill, Grace Kim, and Jocelyn Leonard. Meeting called to order at 8:35 a.m. This is a regular, monthly meeting. Financial Report: Altee has received $2400 from the 4th grade, $1207.37 from the 5th grade, and $11,072.36 from the 6th grade so far towards the study trips. From the scrip fundraisers, we have received $2318.14 so far. (Altee was not sure if this was from one of the scrip fundraisers, or if this was from both of them combined). And, the Genevieve fundraiser brought in more money this year than last (could be due to the fact that we have a higher enrollment this year). The money raised by Genevieve will help offset the cost of the study trips. We have had a request for $341 from the school librarian to buy shelf signs, to make the library easier to use. It was suggested that we should split that cost with the Bishop’s Peak PTA. Taffy will check with Lisa (PTA president for Bishop’s Peak), about that and also how much we need to reimburse the PTA for the Battle of the Books books that they bought for the library (we usually split that cost between the two schools). We decided to wait on the librarian’s request until we get more information about it. Altee will check further with her about that. The teachers still have a request out for a set of Battle of the Books for each of the classrooms. The class representatives will check with the teachers about which books are still needed, then send the lists to Sunshine. A note will be sent home to parents asking if they have any of the Battle books at home that they would like to donate. Sunshine will then give Taffy a list of the books still needed for purchase. Altee moved for the Boosters to pay for the books out of the General Fund, Taffy seconded the motion. All were in favor. Taffy will then buy the books needed. The Battle of the Books list repeats every few years, so we won’t have to buy them every year. Lastly, Altee let us know that last year $1000 was set aside to help with scholarships for the study trips, for those who are not able to pay the full amount. This year, it is looking like we may need to bump that number up to $1500. This issue will be discussed further at a later date, when the need arises. Principal’s Report: The 6th grade had a good trip to Catalina. It was a rough ride out there even with the Dramamine on the boat. The way back was much better. The boat ride takes about 2 hours. There is an express boat that only takes 45 minutes. Mr. Block suggested we check out the price difference, because a faster, smoother boat ride would make a big difference. He also questioned if the hotel/museum would be necessary if the Express boat was used. Students could leave early Monday morning, instead of on Sunday. Some people said that their children loved the hotel and museum part of the trip. Mr. Block stated that it is something to look into, and think about for the future. Mr. Block also let us know that there is a possibility to do an online version of AR tests, so that we would have to keep buying individual tests all of the time. The cost is $1700 per year after the trial period. A grant was written to defray the initial cost of the first year. We don’t know if the grant will go through yet. We could possibly split this cost with Bishop’s Peak. More information to follow. The teachers have come up with a way to raise money for the Booster’s Club to help finance things for our school. Mr. Crabb will come in to talk to us about this in a few minutes. New Business: November 6 is the Chili Cook-off/Bovine Bingo get together. More information will be coming home with the students. E-scrip will be available at the Chili Cook-off. The Chili Cook-off will be in the Multi-purpose room. Mr. Crabb came in to talk to us about some issues. First, we have an opportunity, thanks to Mr. Wormley, from Adobe, to get a package for the computers for the Digital Media Lab. We can purchase this package for $100 per computer (normal cost would be $1200 per computer). We already have $750 in matching funds, so we just need $300 to have all of the computers outfitted. This package will include: Web Design, Photo Shop, Dreamweaver, etc. The Boosters will vote on this item after Mr. Crabb’s presentation. This year, instead of each class voting on the students to receive the Asset awards at the assembly, we are going to try a new thing called “Tiger Tales”. The students will focus on the asset words all month, instead of just for one day. The students will be “caught in the act” of demonstrating this asset throughout the month, and they will get to put their name in a container. At the assembly, two names per class will be pulled out of the container, and those students will receive a Jamba Juice gift card. This way, the students will remember to work on the asset throughout the month. It is thought that $200 would get us through the rest of the year. Taffy will check with Lisa Guy (PTA president) to see if there are any discounts from Jamba Juice for schools, or quantity ordered, etc. T-shirts will be done by next week. We sold 66 t-shirts this round. Next, Mr. Crabb told us about the teachers’ plan to help raise money for the school. It is through a fundraiser with Applebee’s Restaurant. The way it works is: tickets are sold ahead of time for about $7 per person. $2 goes to Applebee’s for the food, and $5 goes to the Booster Club. The customers would get all-you-can-eat pancakes, sausage, and drinks. The Teachers and staff have volunteered to be the servers. Currently Applebee’s is booked up through February, but Mr. Crabb, our chairperson for this event, will be talking to the manager there tomorrow, so select a date. The staff will handle the whole thing, we would just need to help with bussing tables, greeting patrons, etc. If the person who bought the ticket doesn’t show up for breakfast, Teach gets to keep the whole $7. After Mr. Crabb left the room, the Boosters voted on the items presented. We were all in favor of the Applebee’s fundraiser. Altee made a motion to pay the money for the Digital Media Lab computer packages, and for the $200 to go toward the Jamba Juice cards (which we may be able to get through GLScript). Jocelyn seconded the motion. All approved. The revised Bylaws were presented, with the added addendum at the end. The only other change was the address. The address listed now is the school address. There is a signed copy available in the office. We now also have an electronic copy on file. Regarding the Dinner Auction, Beth Meyer, and Cindy Stolper are investigating possible venues/catering options for a possible May date. The Dinner/Dance/Auction in the past has raised between $10,000-15,000, so we need to make up that money somewhere, either through scrip or another fundraiser. If we do another Dinner/Auction, we are looking to raise money from the community, not necessarily from the parents. We should target businesses, alumni, and business people. The Bookfair will be held during Conference week. Set-up will be November 12. There will be a volunteer sheet set out to have people sign up to help at the book fair. The Room Representatives need to tally up their room totals for the e-script/GLscript, so that we can see which classroom has won the pizza party. The last day for e-script to be in the contest is Oct. 22. Meeting adjourned at 9:45 a.m. Teach Boosters is sponsoring a Scrip Contest to get everyone interested in using Scrip for everyday purchases. The Highest Enrollment prize is awarded to the class with the highest per-capita enrollment in at least one of the eScrip programs on October 22. The Highest Sales prize goes to the individual student who sells the highest dollar amount in GLScrip gift cards between now and October 22. The winner in the Highest Sales category will receive either a new 2G iPod Shuffle in a color of your choice or a $50 shopping spree at Best Buy! In addition to these prizes, there is a monthly Referral Raffle for a $10 Scrip card of your choice. If a student refers another family (NOT a Teach family) to buy Scrip, s/he gets entered into the drawing! 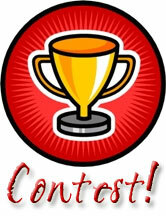 Winners will be announced at our Annual Chili Cookoff on November 6! We have two Scrip programs running at Teach, and both have the potential for some serious earnings - enough possibly to cancel future fundraisers! The two programs are eScrip and GL Scrip. Check it out! When you register your grocery loyalty cards from Von's, Safeway and more (see the full list of merchants at www.escrip.com), we get a small percentage of what you spend on groceries every time you shop! Why not get grandma, neighbors and friends to sign their cards up too? Credit/Debit cards also earn a contribution when you shop at network stores like New Frontiers and Spencers, plus all kinds of travel such as Disney Cruises and online shopping sites like Sierra Trading Post! And of course when you shop through the Online Mall. Winter holidays are coming! 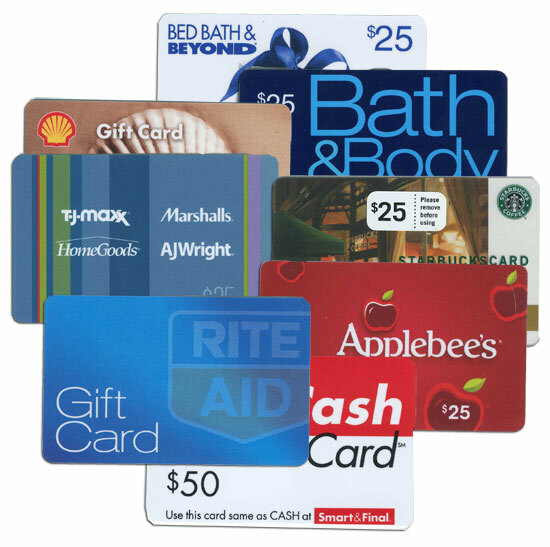 GL Scrip has a huge variety of different gift cards you can use for your groceries, gas, gifts, clothes shopping, books, music...whatever! We use Amazon.com certificates for gifts and to buy school books for the CalPoly student in our family. Another friend buys $400 each month in Albertson's cards for her regular grocery shopping. Who buys less than 50 bucks in gas each month these days? Why not buy a Shell, Chevron or Arco card each month? And of course I'm always packin' a Jamba card and Starbuck's card. Because I'm going to stop in one of those places before too long! Check GLScrip.com for a complete list of cards. These are national and local shops, so your far-flung-family and friends can shop with scrip too! Just take their order and mail them the cards. This is money we are all spending already, all we need to do is register! Get your grocery, atm and credit cards registered, and plan to make your regularly budgeted purchases using Scrip cards! For help with eScrip, please call Doris Kim at 748-1513. For help with GLScrip, please call Paige Wright at 540-4107. Please join us for a BBQ Planning Meeting on Friday, September 10 at 8:30 a.m. in room 27. We will be discussing the time-sensitive issue of chairperson and venue, scheduling and the possibility of going back to the traditional calendar with the fundraiser dinner in the spring and Chili Cookoff in the fall on our BBQ date. If you have comments, ideas or input and will not be attending, please email your thought to sunshinecowgill@sbcglobal.net and we will share them at the meeting. The meeting was called to order at 8:38 a.m.
Jessica Napier/Heather Palandoken - 6th grade Reps.
Lori Fletcher - 5th grade Rep.
Riana Baxter/Nara Clark - 4th grade Reps. The minutes from the last meeting (June) were reviewed and approved by Paige Wright and seconded by Lori Fletcher. All were in favor. Principal's Report: We welcome a new teacher this year, Mr. Eric Jarvis. The sixth grade is getting ready to go on their trip to Catalina. They will be gone Sept. 19-24. The first night they will stay in a hotel in the L.A. area and visit a museum there. The next morning they get to take the boat over to Catalina Island. Mr. Block wanted to remind all 6th grade parents that any medication to be given on the trip needs a Dr.'s permission sheet. This includes motion sickness medication and other over the counter medication. Mr. Block also suggested that at the first meeting of the year the Booster Club should go over their bylaws and make sure that we have insurance. There will be a new list of bylaws at our next meeting. A list of a Bylaws Addendum was passed around for everyone to view. The addendum was approved by Erica and seconded by Riana. All were in favor. Old Business: The Ice Cream Social went well. It was organized via e-mail in a very short time period. Thank you to Heather for taking over for that event. Heather will be writing down what worked and what didn't so we can keep track for next year and put the information into the master binder. Next year, all the ice cream should come from Smart and Final. It was also suggested that next year we only get vanilla, since the kids can put whatever toppings they would like on that. That was the most popular flavor anyway. The color-coordinated nametags for each classroom worked well also. Teacher's Notes: Mrs. Jones came in to represent the teachers. She asked for the "magic Teach timeline" so that the teachers would know when events were taking place. The teachers have a form of one and she was wondering in the Boosters did. It is a computer application that we will print out and put into the Master binder, so we can all be on the same page. The extra classroom (4th/5th combo) has been working out well. All of the classrooms would like a set of the Battle books. The teachers are going to inventory what they already have and then we can order whatever is missing. Helen inquired about the battle books on E-books. She will check into that. Bishop's Peak is helping to buy a set of Battle books for the library. Financials: So far, the money in the account is the money coming in for the Catalina trip. We have CD's but there is a penalty for withdrawal. Altee suggested meeting with Sunshine and Mr. Block to dicuss individual scholarships. The Boosters would like all kids to go on the study trips regardless of their ability to pay. Please see Altee, Sunshine or Mr. Block for information regarding scholarships. The sixth grade pays $6o0 for Catalina and various other field trips throughout the year. The fifth grade pays $500 for Yosemite and various trips throughout the year. And the fourth grade pays $400 for Astrocamp and other trips throughout the year. We had been using an old version of e-books for the treasurer. Ahmad Amir (previous treasurer) bought a new version for us. She asked that we reimburse Ahmad. Jocelyn moved to approve, Riana seconded it. All were in favor. Bills will go out soon to all grades regarding money due for field trips. Please contact Altee with any questions. You can select payment plans. Sunshine asked what proportion of the CIMI trip had been paid for, Altee did not have that information at this time. Great Lakes Scrip are the gift cards for many businesses. glscrip.com The money raised from this goes into our General Fund. You can order online or on the form that goes home each month. Paige (who runs this for us) has a basket in the teacher's workroom, where you can place your orders, or you can give it to your child's teacher. There is another fundraising program called e-script where you can register your VISA/M/C or grocery store numbers and a percentage of what you spend goes to our school. New Business: Wanda brought up a request for more playground equipment on the upper grades playground. She noted that there are no swings or slides there. Her daughter is not finding too much to do at recess. Mr. Block responded that while the lower grades playground has that equipment, the upper and lower grades are not permitted on each other's playground except one day a month. It was decided that maybe we could poll the kids and see in there are many who would want this. Then we could look into the cost of putting these in. The Family BBQ and raffle is tenatively scheduled for Oct. 16 pending a venue and a chairperson to run it. We are in desperate need for a chairperson for this event. There are many people willing to help with the event, but we need someone to organize it. If you are interested contact Sunshine. Erica volunteered to work on food. We have a cow for the cow plop, Laura Finz volunteered a band and we have someone willing to make the tickets. We need to budget $100 for tickets. T-shirt sales went well at the ice cream social. A flyer will be going home soon to see if more people would like to order. This is for spirit only and is not intended to be a fundraiser. It was decided that the same design as last year would work. Genevieve's is due on Sept. 14 Tammy Haas is the chairperson on this committee if you have any questions. International Day will be moved to April and the Chili cook-off will be moved to May. Student Council- Election day is today. Students running for office will make their speeches this morning. The other events Student council works with are Penny Wars (fundraiser) and Valentines grams. Assemblies: Taffy Gonzalez books these. Please let her know if you have any ideas or have any connections in the community. The first assembly will be the Strings program through the San Luis Symphony. It will be on Sept. 10, 2010. The meeting was adjourned at 9:47 a.m.
Attendees: Bonnie Achugbue, Sue Gupta Pal, Jessica Napier, Altovese “Altee” Vigil, Kathryn Rogers, Taffy Gonzalez, Cheryl Clark, Laura Finz, Jill Chan, Sunshine Cowgill, Jen Flachman, Doris Kim, and Jocelyn Leonard. Meeting was called to order at 8:40 a.m. Sunshine Cowgill will be the new President for next year. A binder including all of the information from this year will be given to her. Principal’s Report: Mr. Block was not available. Teacher’s Report: There was no report from the teachers. Financial Report: Ahmad was not able to attend today. He will meet with Altee to go over Treasurer duties. Altee will be the new Treasurer for next year. An e-mail will go out next week for pledges for the 5th and 6th grade for next year. At this point in the meeting, we all went outside for the ribbon cutting ceremony for the Outdoor Classroom. Taffy requested the same amount of money for assemblies for next year. The Chili Cookoff cost more money than anticipated. The 6th grade play came in under budget. Next year, there will be no director, as the director is leaving the area. A parent will have to step up. Assemblies were budgeted $1000, and did not go over. PCPA/PAC performances were budgeted $1500, and did not go over. Battle of the Books were budgeted $200, and did not go over. DARE was budgeted $30, and did not go over. Directory was budgeted for $100, and did not go over. Electives were budgeted at $500, and did not go over. The Fall Fundraiser raised $11,000. It was suggested that the new 4th/5th grade classroom next year will need lots of supplies, including a set of Battle Books. There was a debate about moving the fundraiser to the spring and the potluck to the fall, in order to let people meet each other. There were pros and cons to keeping it as is, and for changing it. Sunshine moved that we have the fundraiser in the fall and the Chili Cook-off in the spring. Altee seconded it. The Gift Card fundraiser is doing well. After 5 months of selling the cards, there have been an average of 7 families participating per month, and we have raised $520. Next year, we will offer the gift cards and Escrip. Doris Kim offered to help with the E-scrip. Other Business: We need someone to be in charge of the Ice Cream Social this year. The Ice Cream Social is the day before school starts. Altee suggested that Erica Stewart was interested in the Vice President position. Jen said, she would follow up on that. Sunshine was officially nominated for President by Jocelyn, and seconded by Kathryn. All were definitely in favor. Our T-shirt sales lost money for us this year. However, it was pointed out that there was a negative carry over from the previous year. It was decided that a T-shirt request form should be put into the back-to-school packet, along with information about Escrip, the Gift Cards, and the Bookfair. Someone is needed to take over the Genevieve’s Fundraiser in the fall. Jen is working on the Mission Statement for Teach Elementary. Sunshine, Jen, Dan Block, and Lisa Guy (Bishop’s Peak PTA President) will meet soon to discuss dates for next year. Jen thanked everyone who helped with Boosters Club this year. All thanked Jen for her hard work. Meeting was adjourned at 9:45 a.m.
Don't forget to come to CPK tonight for some superyummy California Pizza! A WHOPPING 20% of your ticket total goes to our Ourdoor Classroom project, so splurge on some appetizers. Added bonus: no dishes to do! Not only is it a great fundraiser for our school, but it's a fun social event too. Kids love to see their schoolmates outside of school. Why not sit together and enjoy a family dinner with your friends? They are asking that you present the flyer when you order, so if you've lost yours, make sure to get another one at school or when you get there. And share them with friends that don't go to our school - we still get the $$. Entries will be judged by experienced chili connoisseurs! 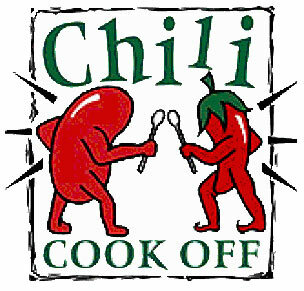 Submit the name of your chili entry to Jen Flachman no later than Thursday, May 20th. Meet incoming Teach families and say farewell to families that are moving on. Congratulations, Teachers, Staff, Students, and Parents! Scrip! An eeeasy way to support your school. This Scrip program works with gift cards, and our Booster Club is selling scrip each month. For every card you purchase, our school gets a percentage of your purchase price! For example, if you buy a Starbucks card for $25, our school gets 9%, or $2.25. Doesn't seem like much...but just imagine how much all our families spend on coffee, groceries and gas each month! What if 2-10% of all the money was going right to our school's programs for our children? The best thing about this program is that we can raise money for our school by buying things we are already buying anyway! Plus, our gift purchases can raise money for our school too. Please consider ordering your gift cards from us including corporate and holiday gifts. Our scrip order form features a limited selection of stores, however a complete list of stores is available at www.glscrip.com. Please inquire with Paige Wright for special purchases not listed. To order, please return a check, payable to Teach Booster Club, with your order form by the first Friday of each month. Orders take a couple of days to process. You will be contacted by phone to arrange delivery of your order. For questions or to place an order, call or email Paige Wright (in directory). Follow along with the planning and construction of our much-anticipated Outdoor Learning Annex. There's lots of excitement and great information about the project, related news articles, and generally lots of information about our beautiful project. It's SUCH a worthy project, and at such a low cost. Become a member of the group and follow our progress on Facebook. Attendees: Taffy Gonzalez, Susmita Gupta Pal, Laura Finz, Kathryn Rogers, Jen Flachman, Altee Vigil, Cheryl Clark, Ahmad Amir, Sunshine Cowgill, Anika Clements, Mavis Wong, Jocelyn Leonard, Grace Abroms, and Lori Olson. Meeting was called to order at 8:38 a.m. First up was a presentation by Julie London with Genevieve’s Fundraising. She explained about her products (wrapping paper, candles, candies, and gifts). There will be an assembly the first Friday of the next school year to let the kids know about the Fundraising. 50% of what each student sells from the main catalog go into each student’s individual account, to help offset the study trips. 40% of the sales from the other catalogs go toward each student’s account. People can order online year round. You don’t need to collect taxes, as they are already built in. The sales period will run until Tuesday, Sept. 14, 2010. Financial Report: Financial reports passed around. Everything looks good. Altee has expressed an interest in becoming Booster Club Treasurer next year. This will be discussed later in the meeting. Teacher’s Report: Mr. Crabb submitted a request for a book series for next year. They are Shakepeare books, and would cost approximately $400. Taffy motioned that we buy the books, Sue seconded the motion. All were in agreement. Principal’s Report: Mr. Block is off campus today, and does not have a report. New Business: Laura Finz, who heads the Student Council announced that the Student Council was looking for a project to fund, as their legacy to the school. It was talked about that they could possibly fund the books for the fourth graders, but it was decided that the Student Council should decide how they would like to spend their money. There was a discussion about Village Host restaurant night. Not many are going to this fundraiser. People may not be aware of it. It was decided that for next year, there needs to be one person in charge of this…advertising for it, and collecting the money, etc. It was also discussed that we might look into other restaurants that may offer larger percentages back. Mavis Wong and Lori Olsen came in to talk about the Garden. They have been working on this project for the last 2 ½ years. Both schools now use the garden. 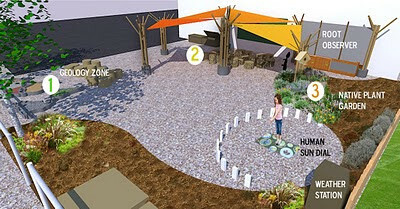 One of the parents of a Bishop’s Peak student is a Cal Poly professor in architecture, and she had 3 of her senior students submit a design for the garden. The plan is amazing. It would turn the garden into an outdoor classroom, that could be used by all. There was imput from kids at our schools, and they are ready to move ahead with this project. The question now is, Who is going to fund this? Currently the three Cal Poly students are writing grants to try to get money for the project. They have written to HealSLO, Lowe’s, and PG&E. The cost of the garden will be between $2500-$6000. The garden committee would love support from the Booster Club/Teach community. If the grants go through, the committee would still need to raise money. They would like to have the kids help out with the garden, so that they would have some ownership in it. Sunshine suggested that maybe the Student Council would like to fund a specific part of the garden for their legacy gift. It will be brought up to the Council. Cal Poly architecture students are working with the Construction Management students to build this. It was suggested that in order to get the kids excited about the garden, an assembly could be held to show them the plans for the garden. It is unsure if this will happen this school year, or next. There is a Facebook page to check out the garden plans: Bishops Peak/ Teach Experimental Classroom. There will be a fundraiser at California Pizza Kitchen (CPK) on Tues. May 25. Please come. Sunshine will assist with the website for the garden. The designated point persons for this project from the Boosters Club are: Altee, Sue, and Taffy. Jen volunteered to help with PR. The Boosters will set up a table at the Chili Cookoff to show off information about the garden to parents/students. Next, there was a presentation by the SLO Youth Symphony. Brian Hermanson, Executive Director, and Andrea Stoner, Music Education Director, told us about their pilot program to bring strings into the schools . They would need 5 kids to sign up per grade level. ( K-6th) Ideally, they would like the program run 2 times per week for the school year. It was suggested that they talk to Mr. Block about bringing this into the schools. Their website is: www.slosymphony.com. The phone number is 543-3533. There will be an e-mail coming out regarding International Day. Date not set yet. Chili Cook-off/Bingo scheduled for May 26. An e-mail/flyer will go out once the incoming 4th graders receive notice as to whether or not they have been accepted to Teach. More information to follow. There was a discussion regarding Booster Board Members for next year. Altee was nominated and approved for the Treasurer’s position. Jocelyn will be the Secretary. Laura Finz will continue with the Student Council next year. President and Vice President positions are still unfilled, though there are a few who are considering it. Our Special Olympics is Saturday, April 17! Please come to school at 9:00 a.m. Saturday to help set up the various games and posters. The check-in time for athletes starts at 10:00 a.m. Please be there early on Saturday morning! It will only be a few hours. This will be a great event, with awards and certificates given to the Special Olympians. Let's have a great day!! It's all about teaching our children the importance of community service by supporting our Special Olympians. Expect to see lots of smiles and expect to be hugged! Sport is not only fun, it empowers individuals of all kinds. Read here about empowerment through sport. Start saving your change...the Penny Wars are returning to Teach on April 21, 22 and 23. Here's how the much-anticipated annual Student Council fundraiser works: Collection jars are set out for each class. 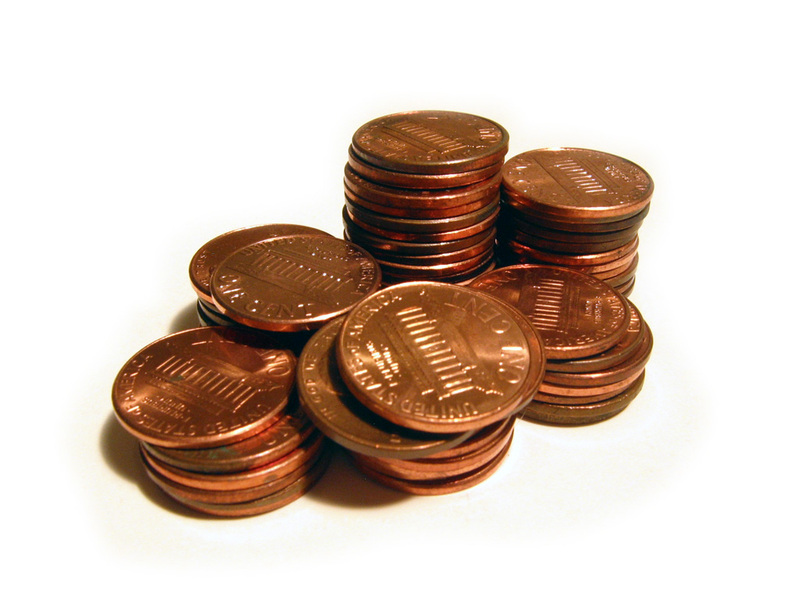 The pennies that are added count for one point. Any "silver" that is added takes away points - 5 for a nickel, 10 for a dime, 25 for a quarter. So the strategy is to add pennies to your class's jar and silver to the other classes! 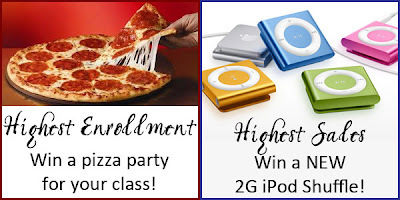 The class with the highest points gets an ice cream party! 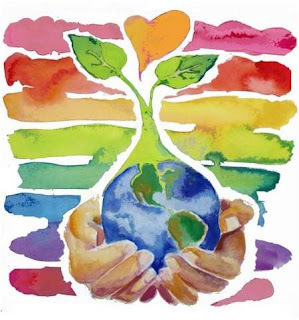 North County Earth Day celebration is April 18, 11:00 a.m. to 4:00 p.m. at the Atascadero Lake Park. There will be a children's parade of the Earth's creatures at 1:30 p.m. Please tell all school aged children to come dressed as their favorite animal. All children who participate in the parade will receive a gift. 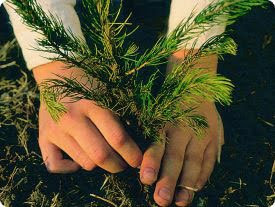 Get some ideas for commitments you can make on this 40th anniversary of Earth Day. Make Earth Day every day! 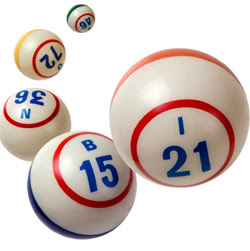 Please note that the date for the Spring Chili Cook Off and Big Buck Bingo has been changed to May 19. Get your recipes fine-tuned!! 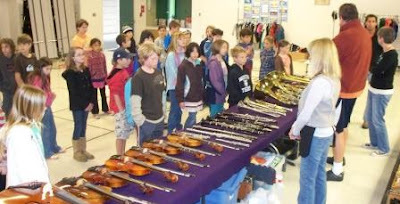 4th grade students got to try out musical instruments provided by the San Luis Symphony's Music Van. Our science fair was a huge success, with 100% participation by students from 3rd through 6th grade at Teach and Bishop's Peak Elementary Schools! Photos are coming. Very special thanks to all the people who have volunteered to help out during Teach's Special Olympics event. The day's schedule for April 17 and more information is coming up. We're so excited to make this a great community event with help from students, families and staff. There's a great lineup of events, including wii games, so this will definitely be a unique event for the Special Olympics. Stay tuned! For a current look at their developing design please see our Design Flyer. Want to get involved in charity events? Here's a nice list of ways kids can help! The Canned Food Drive is still ongoing. 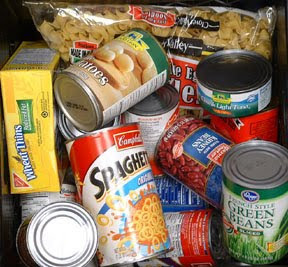 Hunger knows no season - please bring your canned and dry goods in and deposit them in the canned food collection bin. Walk for Water provides clean and save drinking water for children in Kenya. With a $10 donation, you can provide clean water to a child in Kenya for 10 years. The walk for water is April 18 at 2:00 at the Bob Jones Trailhead. Please visit www.walkforwells.org for more information, or email Arielle Stallman (see directory for her email address) to let her know if you can walk on April 18! Give a Day, Get a Day at Disneyland: Sam Eisendrath and Madison Musgrave and local administrators for Disney's Give a Day, Get a Day. Anyone who donates a day of time to Prado Day Center or Homeless Shelter can get a free day at Disneyland! Email Sam and Madison (see the directory for Sam's email address) for more info. Akshaya Patry offers school lunches as an incentive for students to attend. For many, it's their only meal of the day. Sam Pal will be selling bracelets after school for $2.50 to support this group. For every seven bracelets bought, a child is given food and education for a year! Kids 4 Kures - see the banner in our right column. Many children donated personally from their own allowances and savings for this particular charity. We are all so very proud of you! Our 2010 March-a-thon will take place Friday, March 19! Please return all pledge envelopes no later than March 24 for gift certificate and party credit. There will be prizes for total money collected, 100% class participation, and most laps run. Parents are encouraged to join us for this exciting event! The Custom House (in conjunction with March and John Rourke) has graciously offered to provide us once again with a hot dog lunch, including chips and a drink for just $3. All proceeds from the lunch will benefit Bishop's Peak. Families may also bring a lunch of their own if they wish, a picnic blanket, and join us as we celebrate the accomplishments of our students and enjoy the company of our fellow families. Wear your Teach tee shirts and come on out! The March-a-Thon classroom walking schedule will be sent home with your child the day before the event, so you can be there to cheer your child on! Anyone wishing to donate fruit the morning of the march-a-thon to give our kids a little extra energy (and a treat) is encouraged to do so. Orange and apple slices, bananas, grapes, strawberries and pineapple can be dropped off at the snack table (washed and ready to serve), and will be most appreciated by our budding athletes. Thank you in advance! The book fair is coming! The Scholastic Book Fair is an important fundraiser for our school, and it's fun for the kids too! We may still need volunteers for lunchtime, afternoon and one evening shift during the week of 3/22-3/26. A sign-up sheet is posted in your child's classroom, or you can call Belinda Morrill at 534-1878 or email her (see the directory) to help with planning and setup. And of course don't forget to stop in and browse - there are always so many great books, games and gifts! Thanks in advance. We need to do another fundraiser. All trips for this year are now paid for, and 95% of the students have paid their share. We need to earn more money to get ready for next year. Ahmad suggested that people with connections at local community banks, ask them for donations. Some local, community banks have funds set aside for education. A few people volunteered to contact the various banks in the community regarding this. Dan is not available today to give a report. Mr. Crabb is asking for support for the Special Olympics event. Sue Pal let us know that her daughter is going to bring 20 volunteers from the high school to help. Grace Kim-Abroms suggested that the Leadership Group at Laguna Middle School could come and help. She will follow up on that. Mrs. Jones feels very welcome, she may want a set of Battle of the Books for her classroom, Anne will follow up on that. Mr. Crabb may also want a set. Taffy will follow up on that one. Mrs. Kelly is on the Yosemite trip. Jill Chan is working on the Box Tops. Call her is you can help, or if you have any questions. Paige Wright is working on the Script for the Spring break vacation. Contact her with any questions. Janet will attach the form for ordering to the newsletter, and Sunshine will put it in the blog. Open Enrollment: Feb. 23-Mar. 23. Open house will be on the 10th. We need donations of cookies, lemonade, and coffee, and someone to decorate the goodie table. Jen will send out an e-mail. Contact Jen Flachman if you can help. Open house is 6:30-7:30 on the 10th (Wednesday). Prospective students and their families come at 6 p.m. Cookies could be brought in and dropped off in the morning. Put them in the corner of the teacher's lounge--where the construction rolls are--on the back counter. Put a note on them, so they don't get eaten by mistake. Ads for open enrollment are going to run in the newspaper next week--Sunday, Tuesday, and Wednesday. Sunshine will put the ads in the blog if you would like to see them. We voted on the expenditure of the ads. The cost is $330. Anne moved to approve the expenditure. Ahmad seconds this, but adds the we include up to $500 in case the price is up this year. Taffy seconded this. All were in favor. March-a-thon is March 19. There will be a kick-off assembly next week. Volunteers are needed. You are all welcome to come out and cheer on our kids. Cheryl will find out what time our kids are running, so that parents can come watch. There will be a hot dog lunch available for anyone interested in staying for a picnic lunch. Also needed: cut up fruit--to give to the kids, and sponsorships. Jen will send the sponsorship letter around again to everyone. Bookfair: Belinda Morrill is in charge of this . It will run March 22-26. Belinda needs help the Friday before, to help set up all of the books, and she needs help at lunchtime and after school to sell the books. Belinda will set up a sign-up sheet. Several people signed up to help at the beginning of the year. You will be contacted soon. Chili cook-off: Set for May 5th. We will have a chili-cookoff and a Big Buck Bingo games. It will be a Cinco de Mayo theme, so bring in your salsas and chili! We will be sending out more information as it becomes available! Jen will send out an e-mail to everyone. Sunshine will work on the flyer. Flyers will be passed out at Open House to prospective parents also. 6th grade play: Kathryn is looking for more sound mikes for the kids to use. Does anyone know anyone with sound mikes? Someone suggested Victoria Doust who is the artist in residence at Cayucos Elementary. Someone else suggested we consider buying them so we have them from year to year. Kathryn will look into this. Helen had an update about Spanish afterschool classes. She contacted Laguna and spoke with their Spanish teacher. She estimated that the cost of a teacher for after school classes would be approximatelyI $500/month. There was discussion about a field trip to Laguna Middle School and a task force to further investigate foreign language opportunities for Teach. Helen and Kathryn to follow up. Monday is the distinguished school visit. Kathryn moved that the Boosters pay for breakfast and lunch for the delegation. Anne Slocum seconded, and the motion was passed. CandyGrams are perfect to send wishes to your friends on campus! Support Teach Elementary School by purchasing CandyGrams for only 50 cents during the lunch hour on campus Tuesday through Thursday of next week. CandyGrams may be sent to any teacher, staff member or 4th-6th grade student at Teach or Bishop's Peak Elementary. CandyGrams may also be sent to K-3rd graders as valentines if they are sent to an entire class (each member of the class should receive one). I for one will be purchasing candygrams for my first-grader's class so I don't have to go and buy Valentines! Your Booster Club needs YOU! Please consider running for office in our Booster Club. 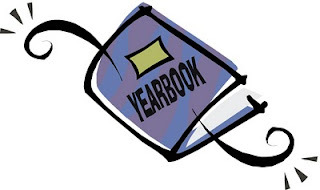 Nomination and elections of officers for our booster club will take place at the March Booster Club meeting, March 5 at 8:30 a.m. Our entire staff of officers will be leaving at the end of this year, as their 6th graders graduate and go on to middle school. It's up to 4th and 5th grade parents to step up and fill these places. We'll be nominating and electing a President, Vice President, Secretary and Treasurer. If you would like to help your school in this very important way, please be present to nominate yourself. It's not as big a time commitment as you might think! A job description of the offices is available, just contact us and we'll email you a copy. San Luis Obispo is celebrating 27 years of being a Tree City, USA as well as our 27th Arbor Day celebration on Saturday, May 1. The city is sponsoring an elementary school contest of artwork and poems. The purpose of the contest is to focus attention on the value of trees to our environment in general and to our lives in particular. The contest rules are simple: the subject of all work is to be trees. Possible inclusion of the slogan, "We Love SLO Trees" might be considered. For artwork, pencil, pen, chalk, charcoal, watercolor or other illustration (but no photographs, collages or non-original graphic arts). Size: 8.5x11 to 18x24". For poems, 100 word maximum length submitted on 8.5x11" paper. All entries must be submitted by the end of school Friday, March 19. Planning is underway for our quickly approaching March-a-thon, scheduled for Friday, March 19th! Our next meeting will be held on Wednesday, February 17th at 2:30. We'll meet at the lunch tables outside the multi-purpose room (inside the Multi if it's raining), and snack will be provided for the kids! Please come and lend a hand, or contact Cheryl Clark (234-2025 / reefpt@sbcglobal.net) if you'd like to volunteer the day of the event. Attendance: Jen Flachman, Taffy Gonzalez, Sunshine Cowgill, Kathryn Rogers, Heather Palandoken, Bonnie Achugbue, Laura Finz, Mr. Block, Ahmad Amir, Cheryl Clark, and Jocelyn Leonard. Meeting called to order at 8:35 a.m. Ahmad approved last months minutes, Laura seconded the motion. Jen Flachman will remind parents of the availability of the Blog. There is lot of information posted there, along with the meeting minutes. We are doing well financially. We have had three scholarship requests. Notices have been sent to parents with outstanding debts. This has been effective in getting a response. We need to get ready to do another fundraiser. The Boosters Club will send a donation of $100 to Mrs. Pudlo for her retirement. A card will go around for the kids to sign, to go with it. Mr. Crabb's class raised $250 for Haiti. There was a nice orientation held to welcome Mrs. Jones. She is the new 6th grade teacher. 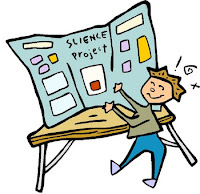 Science Fair is Feb. 24. 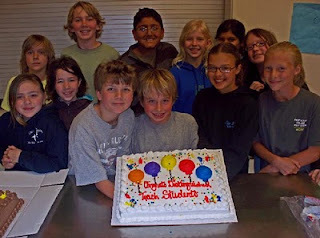 Open House is March 10th--the Student Council will speak at the Open House. Distinguished School status: Mr. Block met with a lady from the committee already. In early March, there will be an onsite visit by the committee. The school is stressing what makes us unique--Trips, projects, electives, high parent involvement, high test scores, etc. We are the only school nominated and eligible in San Luis Obispo County. Mr. Crabb will be letting parents know about an upcoming Saturday event--The Special Olympics. It will be an opportunity for our school to come together to help do something wonderful for our community. More details to follow. Scip e-mail will be sent out soon. For more information contact Paige Wright. We made $220 profit last round. We will try to get a copy of the Script form to download to the Blog, and then send out a blast. Box Tops--March 1 deadline. Jill Chan is the coordinator if you have any questions. There was a suggestion that maybe the kids could help get the box tops ready to be sent in at lunchtime. Election of Booster officers--to be done in March. Suggestions on how to raise money to replace Mr. Crabb's stolen camera: penny wars, collection from the parents, March Pizza Night proceeds, Booster money, etc. There will be a collection envelope in Ms. Kelly's room. The 6th grade play this year will be The Wizard of Oz. Erik Austen is the director. We have 100% involovement by all the kids. Play date: April 29. Meeting adjourned at 9:25 a.m. Cal Poly Agribusiness Program came in to make a presentation at this time.